Current and past research projects are listed on the Research page. 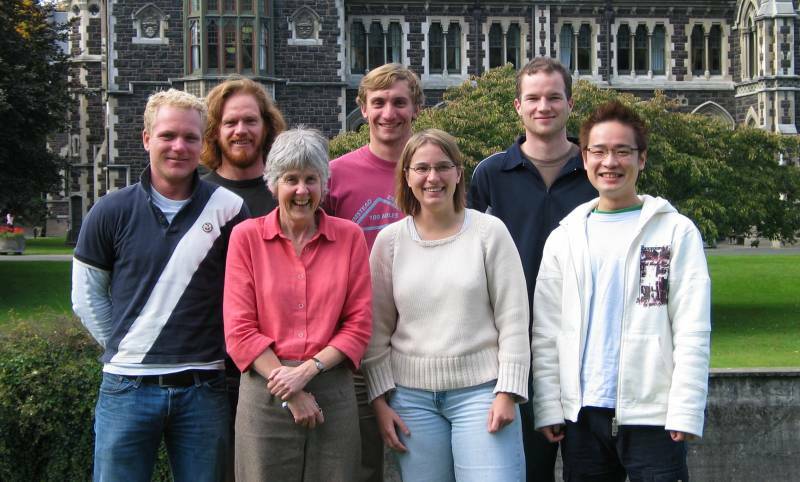 The sea ice group on the University of Otago Polar Environments Research Theme 2011 cross country ski trip. 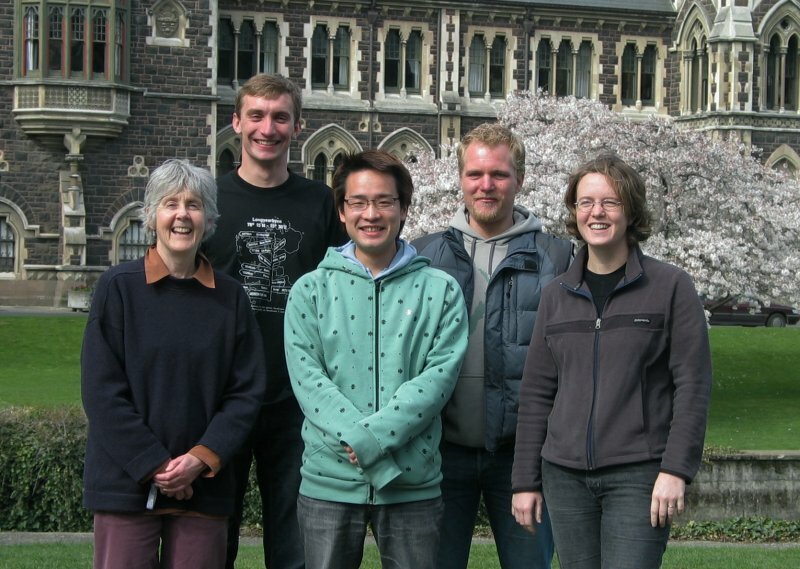 From left: Alex, Stefan, Greg, Inga, and Takenobu. 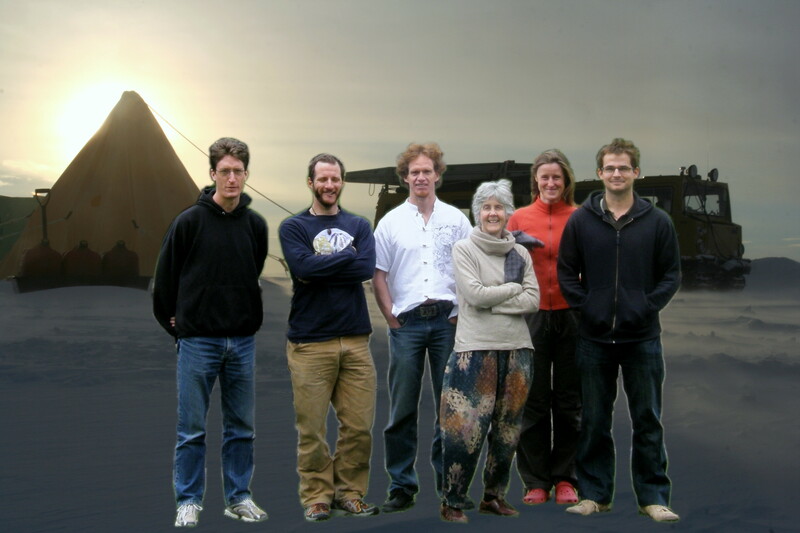 2013/2014 (Fulbright US Scholar Award Recipient) Research collaboration topic: Why is Antarctic sea ice expanding? PhD 2005 Fluid dynamics simulations of sea ice formation (examples). Experiments on refreezing cracks in sea ice. Dr Greg Leonard PostDoc 2002-05 Sea ice and platelet ice formation in McMurdo Sound and their correlation with oceanographic conditions. Dr Inga Smith PhD 2002 Platelet ice in McMurdo Sound, Antarctica. Dr Martin Gribble PhD 2002 Cyclic and creep properties of sea ice. Dr Paul Bond PhD 2001 Optical characteristics of saline ice. Daisuke Yamagishi MSc 2008 Experimental study of phase change in rapidly growing sea ice. Nicole Albrecht MSc 2006 Internal gravity waves in McMurdo Sound, Antarctica. Ben Tuckey MSc 2002 Brine convection in sea ice. 2011 Thermodynamic modelling of platelet ice crystal development.